Just like you, my weekends are spent perusing the freshly stocked shelves at the craft store in search of a new DIY adventure. Oh wait...that's not how you spend your weekends? In that case, be warned that this post may not excite you. There's a cheese platter at the end, so that should keep you all reading. My most recent trip to the craft store yielded chalkboard paint, among several other things I didn't really need. I've been reluctant to use chalkboard paint in the past with the presumption that it didn't work as well as a real chalkboard. I used to shrug my shoulders with indifference at chalkboard painted walls, snobbishly mumbling that a real chalkboard would have made more sense. I now confess that I'm a changed woman! 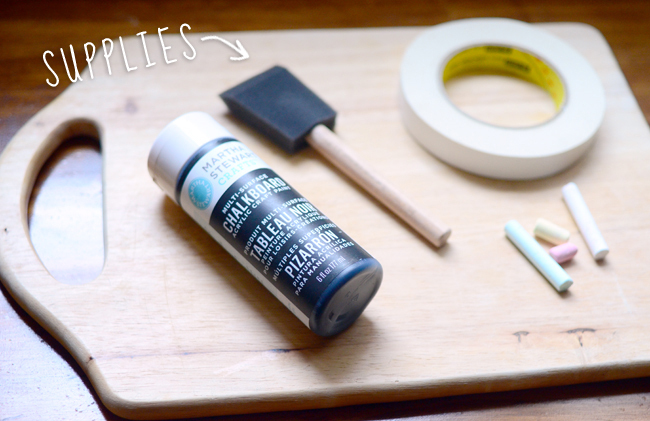 Chalkboard paint can be useful beyond the dorm room or preschool. I've literally run out of things to paint and chalk all over, so speak up if you have any ideas for the little paint I have left. 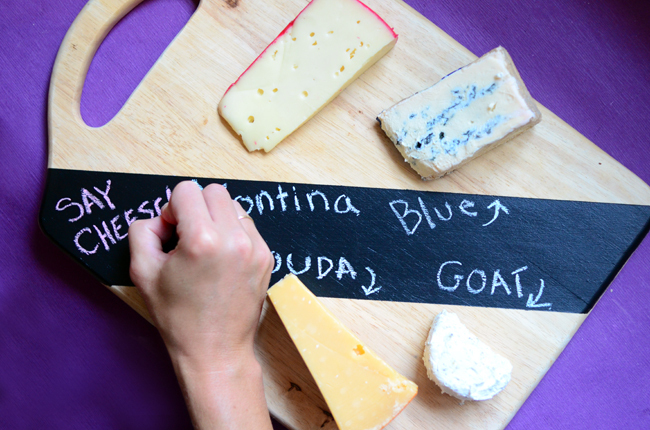 Chalkboard paint was the perfect solution for sprucing up this old cutting board. It was about 30 seconds from the trash, then I realized that with an application of chalkboard paint, I could turn it into an informative cheese board! Got some old canisters? 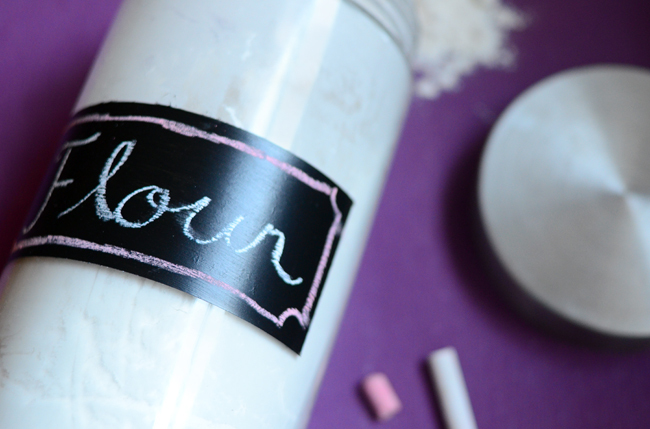 Paint 'em and label all your dry ingredients for baking. You can even paint popsicle sticks and label your herbs or veggies. (I don't have a garden so I guess I'd just be labeling...popsicles! This infomercial could go on for hours, but my point is that chalkboard paint (assuming you buy a decent brand) really works. 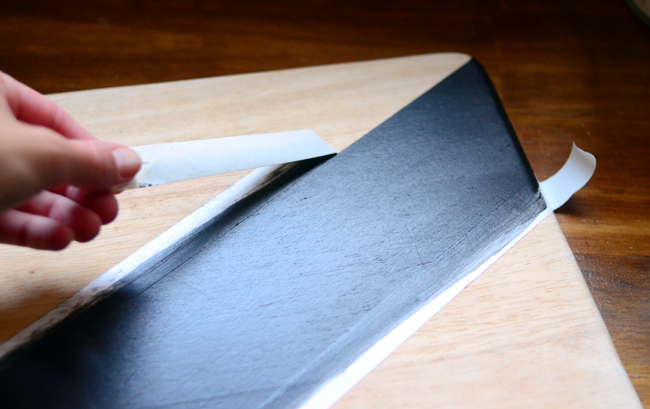 Make sure you use painters tape for clean edges, apply at least 4 coats and let the paint dry completely before writing on it. Check out the finished cheese board. 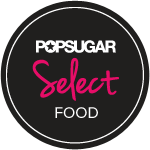 Because this is partly a food blog and this post is quite lacking in the food department, here are a couple tips to keep in mind when creating your own cheese board. 1. Include varying flavors and textures. It's best to include one aged, one soft, one firm and one blue cheese. 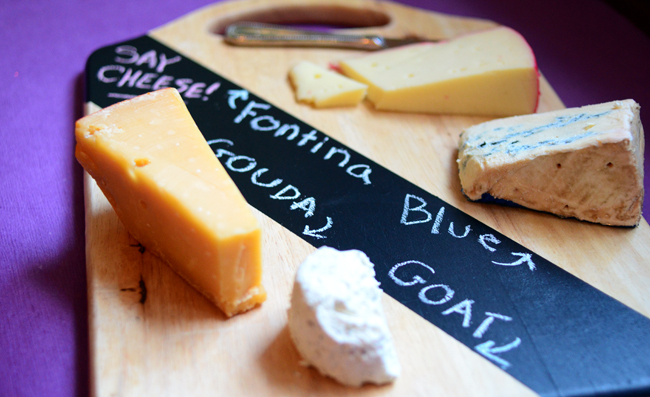 My board included: Gouda (Aged), Herbed Goat (Soft), Aged Fontina (Semi-Firm) and Stilton (Blue). 2. Always offer plenty of crackers and bread. Include some salty crackers, some water cracker, a sliced baguette and a few bread sticks. 3. Serve some fig jam and good honey with your cheese. I don't know why, but it just makes everything taste better. If you can get your hands on a jar of truffle honey, don't ever let it go. Yum! 4. Serve your cheese at room temperature. Not too warm, not too cold. That's enough cheese for now. Class dismissed. Cool idea!! I found your site looking for ideas on cutting baords, this is a good one! I am a woodworker and make alot of cutting boards, check out my site.